8.0" x 8.0" stitched on 14 count. 6.2" x 6.2" stitched on 18 count. Hearts and Flowers cross stitch pattern... 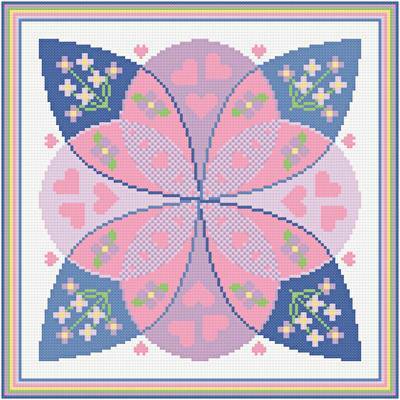 This quilt square design shows many images of hearts and flowers. Whole stitches are used.